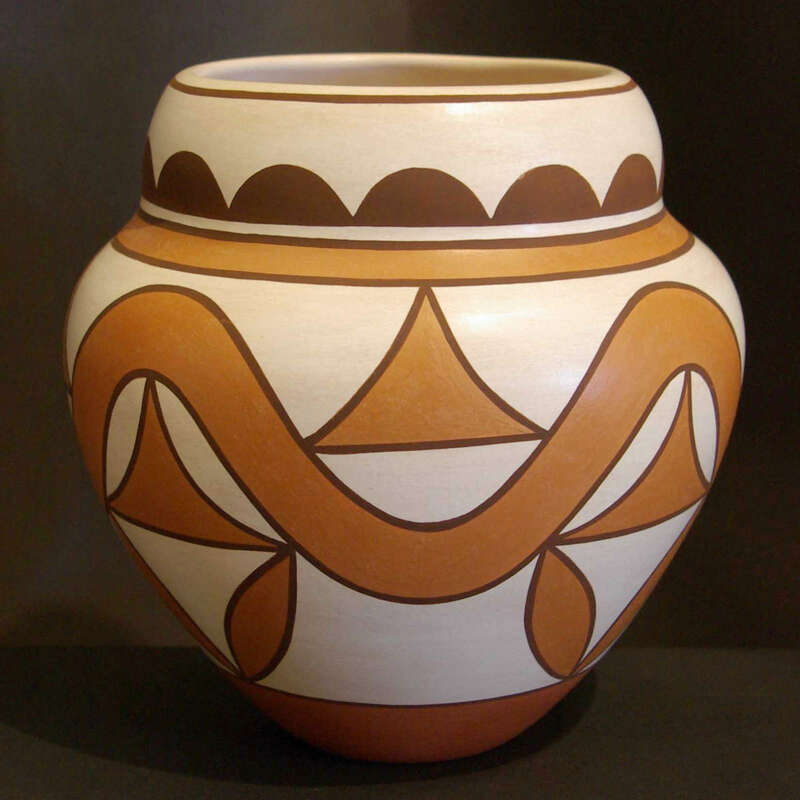 Gladys Paquin was born at Laguna Pueblo to a Laguna mother and Zuni father. She lived at Laguna until the age of 9 when she moved to the home of her stepmother, Clara Paquin, at Santa Ana Pueblo. 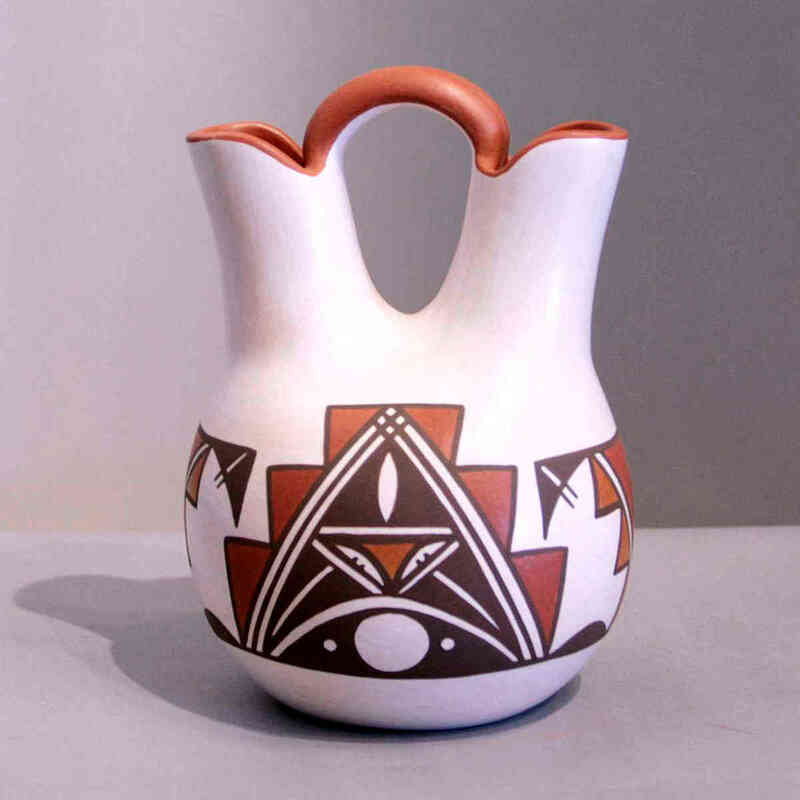 It was at Santa Ana where she was given the name Sratyu'we which appears in the signature she uses on her pottery. After high school she got married and lived with her husband at Santa Clara Pueblo for a while before they moved to California. While in California she had two children, both of whom took up pottery before she did. 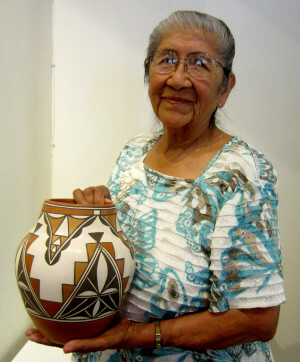 After 23 years in California, Gladys returned to Laguna Pueblo on her own and searched out a new path in life. 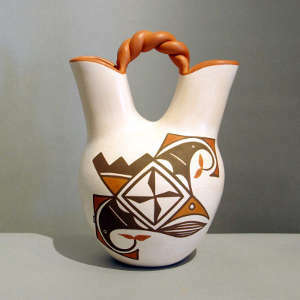 In 1980 it led to making pottery at Laguna. 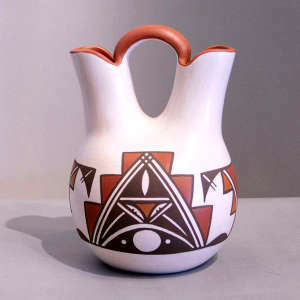 She learned the traditional methods of the potter's art and has worked with them ever since, winning many awards for her traditional styles and designs along the way. She uses primarily Laguna designs but now and then produces something with both Laguna and Zuni elements in it.